“Thank God it’s Friday…” or “It’s finally time to go home!” Do you often use such expressions or something to that effect at work? If your answer is in the affirmative, chances are you go home exhausted almost every day. Why do some people find work an interesting and rewarding experience while others experience it as a duty, a burden, and a form of daily suffering? For such people work is something similar to taking time out of one’s life, to turn into a machine for 8 hours or so, and to press the ‘pause’ button on the story of their life. After work however, they seem to come back to life again, as if they had put who they are on the shelf as soon as they had walked in for work, and then picked themselves up from the shelf as they left their work place. I personally know people who have been living like this for decades, and who believe this is the best way to go about dealing with life and work. 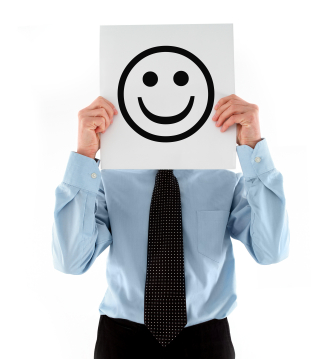 For this type of individuals, it is a waste of time to talk about happiness and joy at work. For them work is a formidable experience that should be taken seriously. To them, it is childish and foolish to talk about doing the work one loves! The ‘pain of work’ is a fact of life that one has to live with, this is the advice you would get from people who view their work as a ‘job’. If you happen to be among this type of people, it is unimaginable you would enjoy going to and engaging in work. It is also unlikely you would see your work as a form of worship. But you might see it as a suffering which then would be considered a source of good deeds. So it is not work per se that is worship, but the suffering that comes with it! Very impressive! Job: Individuals whose attitude is identical to what I described at the beginning see their work as a job; merely a source of income. Work doesn’t hold any intrinsic value. In other words, their work doesn’t represent their natural talents or echo their inner voice. Career: Individuals who see their work as a career invest more of themselves in work. They see work not merely as a source of income but also a stepping stone to promotion and other forms of social and Hierarchical advancement. Calling: seeing one’s work as a calling means one sees work as part of their core identity. In a sense their work reflects who they are and serves as a positive form authentic self-expression. Monetary reward and career advancement are not the motivation behind work, but may come as positive byproducts. Work brings an intrinsic sense of fulfillment and contribution to such individuals as they view their work as a form of contribution that makes the world a better place. Where you fall in this categorization is incredibly consequential. Researchers in Ross Business School at the University of Michigan found that people who see their work as calling enjoy better health, greater satisfaction in life and work, along with many advantages. Organizations also benefit immensely when employees consider their work a calling as they miss fewer days from work, and are more productive and committed than others who see their work as either a job or a career. Probably the most important advantage to seeing work as a calling is the sense of engagement and enjoyment one finds in their work. Scientists have studied this sense of engagement to determine its antecedents, causes, and benefits. It is beyond the scope of this article to cover all of this in detail, so I will only focus instead on how one can develop a sense of engagement in their work and thus find the elements that could help one turn their daily job into a calling and a form of contribution and worship. How can One turn their Work into a Calling and develop more Engagement at work? The job is aligned with your natural talents and passions. When your work utilizes your strengths and offers opportunities to fulfill your passions, it energizes you at a deep level. It reflects your identity and sense of self. When you find that your work is an opportunity to express your potential, you will find yourself automatically engaged in the tasks, and can easily inter into a state of flow, or ‘being in zone’. Most often our passions define and shape our major life goals. This makes work an opportunity to satisfy our passions, fulfill our potential, and advance us in the path to our life goals. If you don’t enjoy this sense of alignment, then it may be that your work and the tasks involved don’t really match you strengths, passions and life goals. Write an inventory of your passions, strengths, talents, and major aspirations in life, then investigate whether your work offers you the space to address them positively. If it doesn’t you will need to take the proactive step of re-engineering your job in a way that still serves your organization and is more aligned with you passions and goals. I have written a book in Arabic on this whole process which I am hoping to publish around mid 2015, and insha’Allah make it available in English in written format and as a training course. This means the job offers tasks that require you to stretch your abilities, so it challenges you in this sense, but not to the extent that it makes you feel helpless. Humans have an intrinsic need to grow and expend and we intuitively know that challenges help us answer this need. This is the main reason why video games are attractive and addictive and highly engaging. They present us with optimal challenges to the right degree without making us feel inadequate. They also don’t offer overly easy challenges lest we lose interest and experience boredom. So if work offers you optimal challenges that are neither too difficult nor too easy, and they match your passions, you are very likely to engage in your work and enjoy it to a high degree. If you don’t find your work enjoyable although it is aligned with your passions and interests, it might be the case it doesn’t offer you optimal challenges. Maybe it offers you tasks that are too easy that make you bored and give you a sense that your potential is not being utilized. Or it may be presenting you with tasks that are overly challenging and lead to a sense of helplessness and lack of efficacy. It may be a good idea to check the nature of the tasks involved in work and figure out ways to making the ‘optimally challenging’. One of the most powerful human needs is that of relatedness. Jobs that offer healthy relationships with bosses, colleagues, and subordinates are most optimal and contribute to a engagement in work. You might have a job that is aligned with your passions and offers optimal challenges, but if it doesn’t offer balanced human relationships, your sense of engagement and joy at work are likely to suffer greatly. Look into your job and find out where it matches these three causes and where it departs from them. When you pinpoint the aspects of your job that contribute to your engagement and those that hinder it, you are in a better position to address them. 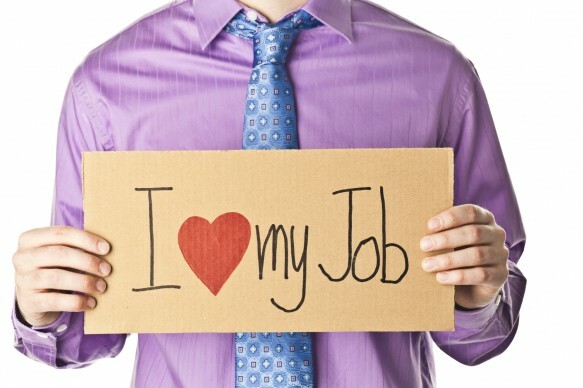 Research shows that most jobs offer more flexibility that most people think. 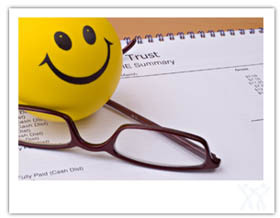 This is good news if you intend to make your experience of work a positive one. When you manage to secure more of these positive aspects into your job, you are in a better position to turn your work into a form of worship, not by suffering, but by contributing! 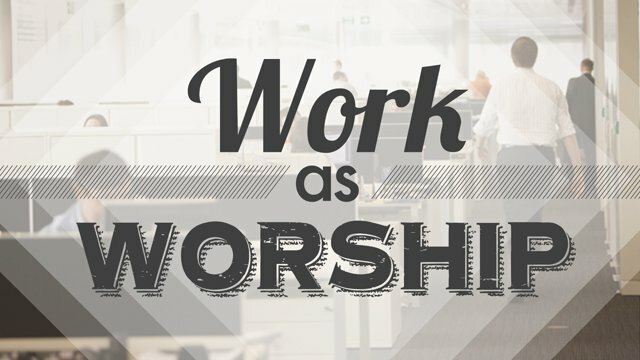 Many people say: ‘work is worship’ but in most cases the reality is far from it, not because people don’t want to make their work into a form of worship, but because if you are suffering at work and feel a sense of detachment from work, how can you possibly consider it an act of worship? Look into the three causes of engagement and study your job in their light. This will open your eyes to new possibilities to turn your job into a calling that offers you an opportunity to express your true self, fulfill your passions, contribute and grow, enjoy good relationships, and worship Allah! 0 Responses on Not Happy at Work? Here is What You Can Do about it!"